Charles Darwin, one of Britain’s most famous and certainly most controversial scientists has a puzzle. How is it that cultures all over the world have ancient myths of dragons? Could dragons have once lived alongside ancient man? Could dragons still exist? Professor Nicodemus Boffin and his newly launched airship Flamel takes up Darwin’s request to search for evidence of modern dragons. The voyage takes Flamel from Britain through the Middle East and over the Himalayas to China. The search is barely begun when Flamel discovers an illicit gold mine run by Cai Yuan, a cruel Chinese warlord, and his corrupt British collaborator. Professor Boffin and his family are taken hostage in the mine which seems to be guarded by a fierce dragon. The crew of Flamel must rescue them, and together discover whether Mr. Darwin’s dragon truly exists. The book will be launched next weekend at Clockwork Alchemy, the San Francisco Bay Area’s steampunk con. But that’s not all. I also have written one of the eleven short stories published in an anthology titled, Next Stop on the #13, put together with many of the talented authors that you’ll be able to meet at Clockwork Alchemy. If you’re interested in Steampunk and in the Bay Area next weekend (March 22-24), I wholeheartedly recommend you attend and take part in the shenanigans. I’ll be in the Author’s Alley section of the Artist’s Bazaar. Come by and say Hi! If you spend any time around writers, the conversation will inevitably come around to “pantsing” vs. “plotting, that is, writing by the seat of your pants, or writing from a well-plotted outline. Neither of these two methods is “right”; it’s a matter of one’s preference, and, well, personality. I’m a scientist by training as well as by temperament, so you’d think that I would fall into the plotters’ camp. But no. I usually have to be dragged kicking and screaming into working out a plot. I’m more of an R&D scientist than a Quality Control scientist. When I was writing my first book, which I did during NaNoWriMo, I started writing and just kept going. I reveled in the magic that occurred when my characters came to life and I felt as if I was just following them around taking dictation. A method which works out well if you have a pretty good idea where your characters are going in the first place. Around day 13 or so of NaNoWriMo, I realized that my characters were being a bit more wayward than I wanted. So I stopped writing and spent a day figuring out what kind of adventure they were on, and what was going to happen to get them to the end of it. Once I had some idea of the plot ahead (and really, it was a pretty flimsy outline that I had crafted…), I could go back to happily letting my cast of characters lead me through their adventures, and banging out my 1666 words per day until I had reached the end of November, and fortunately, the end of the story. I recently found myself in a similar circumstance in my (third!) novel whose working title is “There be Dragons Here”. I participated in NaNoWriMo again this year, but since I realized that I’d never have time enough to reach 50,000 words written in November (“winning” in NaNoWriMo parlance), I set a lower goal of 500 words per day which I easily accomplished. But come around New Years, even though I was still writing at a fair clip, I felt that my characters were losing their way, and began to wander aimlessly. So, pantsing vs. plotting? Both have their uses. Pantsing can be magical, but only if you have a good idea of the plot already. Plotting, I’ve found, can be necessary at some point in writing your story if only to keep the action moving and to keep the strands of your plot as tangled or untangled as they need to be. NaNoWriMo, short for National Novel Writing Month, is a program run out of Berkeley, California that supports writers, especially first time writers, in completing a novel in one month, November. I’m happy to announce that Chapter 1 of my new book “The Secret Notebook of Michael Faraday” is being featured on the Steampunk Journal website. You can find it here. While you’re there, check out the rest of the steampunky goodness on their site! The Secret Notebook of Michael Faraday — Now Available! I am happy to announce that my second book, The Secret Notebook of Michael Faraday, is now available! Nicodemus Boffin rose from a boyhood in the ash heaps of East London to reach the pinnacles of British science when he is mentored by the great scientist, Michael Faraday. When Boffin finds a secret laboratory notebook in which Faraday has described incomprehensible experiments, Nicodemus wonders if Professor Faraday has discovered a new science, or has lost his faculties. Nicodemus’s rival, Viscount Whitehall-Barnes, seeks to gain the notebook by any means necessary to study the descriptions of a strange orange mineral with unusual properties which he believes is the alchemists’ Philosopher’s Stone. Realizing that the Viscount must never learn the secrets of the orange stone, Nicodemus takes action to keep the knowledge hidden, protect his family, and preserve the legacy of his mentor. Besides telling the story of how Nicodemus Boffin grows from a poor but uncommonly clever boy in the slums of London to the forefront of Victorian British science, the novel features pompous aristocracy, a surprisingly capable laboratory assistant, and snarky air pirates. Several Illustrious Personages may wander through the story as well. 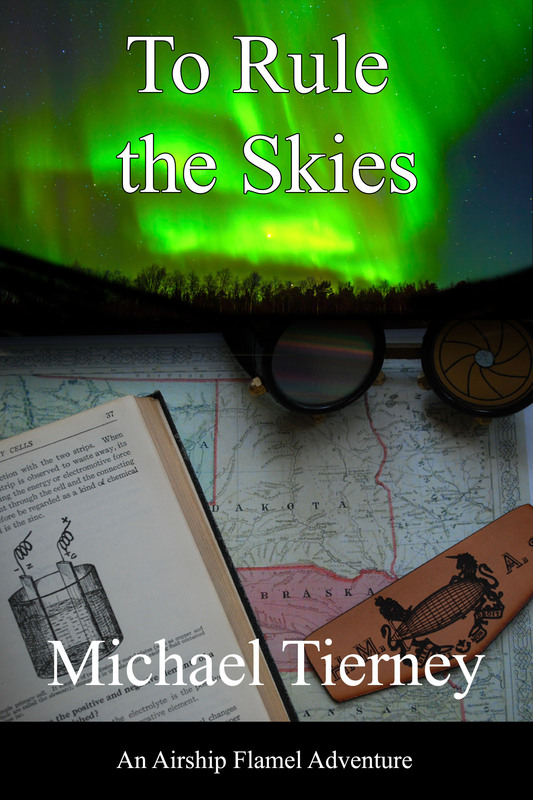 The Secret Notebook of Michael Faraday is available in paperback and Kindle format at Amazon, and in many other ebook formats at Smashwords. Thirty Days Later is here! Thirty Days Later, the steampunk short story anthology that I mentioned here launched a couple of weeks ago at Clockwork Alchemy, San Jose, California’s steampunk con. I am honored to be amongst the talented writers that have come together to create this collection. The concept is a bit different: each writer pens two short stories–separated from each other by Thirty Days. Proceeds from the book will be donated to literacy charities. You can order Thirty Days Later from Amazon as paperback and for Kindle, and from Smashwords for many other ebook formats.